Both homeowners and commercial businesses may have many reasons for needing to have trees removed from their property from time to time. Large trees might be in the way of an expansion. Old trees might be dying and dangerous. A fierce storm may have broken large branches and presenting a safety issue. For the best Capalaba Tree Removal in Capalaba, give us a call. We provide high quality, safe and affordable tree removal services in Alexandra Hills, Victoria Point, Cleveland, Birkdale, Wynnum, Wynnum West, Thornlands and Wellington Point. Our experienced arborists in Capabala can provide tree cutting service as well as tree removal services at your convenience. No job is too large or too small for our company. Palm tree removal as well as taking away any variety of trees that are native to the Capabala area is something we have a great deal of training and experience in. Our professional and qualified team at Capalaba Tree Removal take the time with each and every tree lopping or stump grinding job to make sure that no damage is sustained to person, pet or property. Before we start any tree lopping work we will take the time to assess the whole area where tree lopping is taking place, find any potential hazards or obstructions from other trees, power lines or building structures. We also ask you to inform us of any other things that you think may cause problems while the Capalaba Tree Removal team does their thing so we can ensure that every building and structure whether it fence, verandah or house is left undamaged and exactly as the way we found it. We will also let you know of any other trees that may require tree grooming or tree removal in the event that we believe they might posse a threat to any structure or person that you care about. We have the expertise to take on any tree lopping job. due to the terrain of Capalaba and surrounding areas like Alexandra Hills and Wynnum we've worked in all sorts of conditions. With big trees, small trees, trees in close proximity to buildings, trees on uneven ground. We've done it all with as little amount of fuss or impact to the surrounding environment. We can take you step by step through the tree lopping and stump grind process so you can make an informed decision and are comfortable in our knowledge and dedication to safety. So you can just kick back and relax while we do our job. The wild Redlands weather trees can become a hazard to you, your family, your pets and your home. Tree lopping is just something that has to be done to ensure the safety of people and protect your home. We can assess any and all potential issues that may cause harm and advise on the best, safest and most cost effective way to remove or trim your trees. The Capalaba Tree Removal team are highly trained tree lopping professionals who can take into consideration your needs and budget to live up to our reputation of the best tree loppers in the Capalaba​, Alexandra Hills, Victoria Point, Cleveland, Birkdale, Wynnum, Wynnum West, Thornlands and Wellington Point​ area. 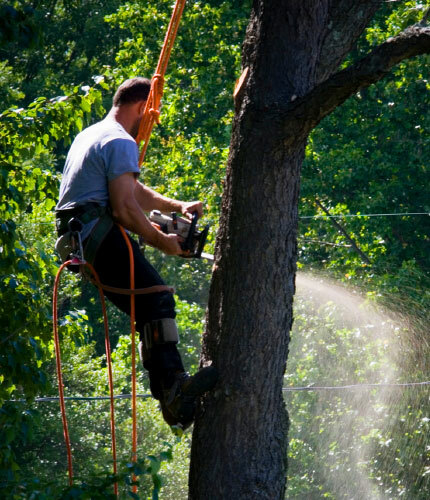 ​We can send out an arborist to provide tree removal cost estimates when you call for an appointment. If you have an emergency situation, we are happy to come out seven days a week to help resolve your emergency tree situation. We work hard to provide the best service that will exceed your expectations. The science of tree removal, especially around the Capalaba, Wellington Point and Wynnum areas can be a tricky one. Especially due to the wide range of differing terrains and building developments. 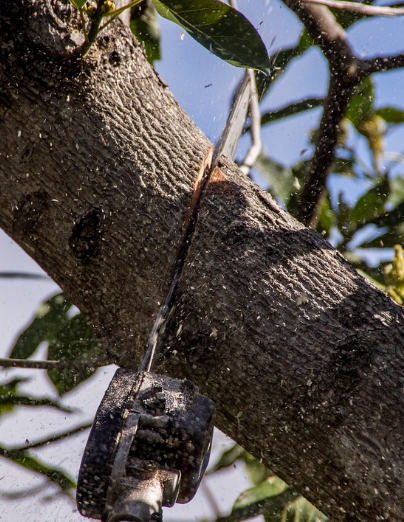 The tree removal professional at Capalaba Tree Removal have the expertise to advise you of the best course of action for your yard or garden and you may need a tree removed or lopped for the following reasons. It is getting in the way of a new extension to your house, a back shed perhaps or you want to create a new garden. There are occasions where where a tree or shrub needs to be removed as it doesnt fit in with the look and feel of you yard. A Tree, palm or shrub might be diseased and dying and this can sometimes pose a potential risk of injury to people or damage to structures that might be nearby. Deceased trees can also be a home to flora and plant based diseases and can also attract bugs and termites that can expose other trees and your home to the potential of damage and large costs. Large trees with heavy branches can sometime threaten to fall on house roofs, or power lines that can cause damage or risk to people. Tree with large expanding roots can invade water pipes and pools. Sometimes can even get into concrete slabs under building structures. Phone today and call us at Capalaba Tree Removal or our Capalaba Tree Lopping online quote form and a free quote and someone from our staff of tree lopping professionals can contact you back immediately with the best possible price on Tree removal, Stump Grinding and Tree Services. Call, email or use our free online Tree Lopping quote form now and start enjoying the Capalba Tree Removal difference. All over Redlands - Capalaba​, Alexandra Hills, Victoria Point, Cleveland, Birkdale, Wynnum, Wynnum West, Thornlands and Wellington Point.